Another month is upon us, although we have yet to see much of the Summer here, as it’s been freezing this week in the UK! 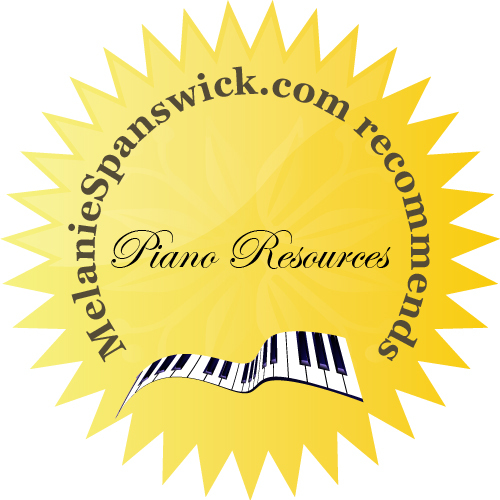 I’ve really enjoyed writing about June’s suggested piano resources; there’s a mix of new Contemporary and older more familiar educational piano music. 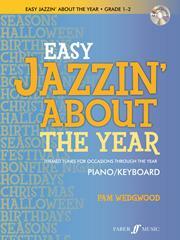 Whether you’re a teacher, student or piano lover, I hope you find these recommendations of interest. A new publication in this highly successful series by popular British composer Pamela Wedgwood, published by Faber Music. 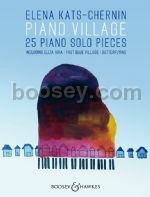 Suitable for either keyboard or piano, and ranging in level from around Grade 1 (ABRSM exam) or Elementary standard to approximately Grade 3 level (early intermediate), these pieces are bound to be a hit with young (and older) pianists everywhere. The volume includes a mixture of original and favourite pieces all on various themes such as Christmas, Halloween, Bonfire Night, Festivals and Holidays. An accompanying CD with a demo track for every tune will no doubt be a helpful addition. These lovely little works, written by Argentine composer Astor Piazzolla (1921 – 1992), have been arranged by Rachel Chapin, and published by Boosey and Hawkes. They contain all the expected tango inflections, incorporated alongside elements of classical music and jazz. The works would suit those of Grades 3 – 5 (ABRSM), and also provide excellent sight-reading material for more advanced players. The selection ranges from Libertango and Milonga for Three, to Vuelvo al Sur and Sin Rumbo. You can find out more and purchase here. 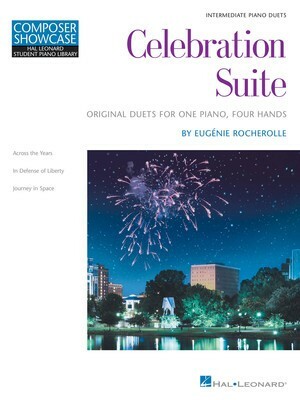 Celebration Suite is a new set of original duets (one piano, four hands), written by American composer Eugénie Rocherolle and published by Hal Leonard. The volume contains three duets; Across the Years, In Defense of Liberty and Journey in Space, and would be suitable for intermediate level players (around Grades 3-5 ABRSM). Also containing performance notes, these pieces are ideal for concerts or festivals. I’ve enjoyed discovering Eugénie’s work over the past few months and am sure students will find much to inspire here. You can find out more here. A new group of 5 piano pieces by British composer Donald Thomson, published by EVC Music Publications Ltd. Inspired by trips to The Hebrides (a large collection of islands off the West Coast of Scotland). These islands are beautiful, wild, windswept places, battered by the Atlantic ocean and supporting a wide range of wildlife – otters, seals, and important colonies of seabirds such as puffins. A Hebrides Suite takes some of the musical styles and inspiration from the islands themselves, and weaves them into a delightful set which have a real Scottish flavour; the book forms part of the Celtic piano series. Find out more and order your copy here. 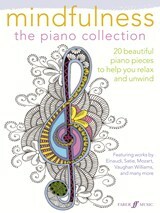 Published by Faber Music, this new anthology of 20 piano pieces has been selected specifically to promote calm, tranquility and reflection. Mindfulness ‘is a simple practice of meditation that is proven to break the cycle of unhappiness, alleviate stress, and anxiety and help people find their way’; this collection concurs with this sentiment, and offers a truly meditative quality featuring piano favourites such as Satie’s Gnossienne No. 1, I Giorni (Einaudi), Pavane Op. 50 (Faure), Rêverie (Debussy), and Prelude in E minor (Chopin). Some pieces are original whilst others, arrangements; works by Dame Evelyn Glennie and Howard Goodall rub shoulders with J S Bach and Alexander Scriabin, providing an electic mix, great for late intermediate and advanced (Grades 6-8) players. Find out more and order your copy here. This selection of original compositions has been written by Australian composer Elena Kats-Chernin and published by Boosey and Hawkes. Consisting of 25 works, this generous volume takes us on a journey from the composer’s homeland (Kats-Chernin was born in Tashkent), where she remarks that she spent most of her time playing and improvising on her piano; ‘My piano works are sometimes a little like diary entires for me. Many of them written in a single day’. The pieces range in difficulty, but are generally for more advanced players, and are often highly rhythmic, patterned and Minimalist in style. As a lover of this genre, I must add that I thoroughly enjoyed listening and playing through many pieces in this volume. Highly recommended. To find out more, hear some the pieces and purchase your copy, click here. 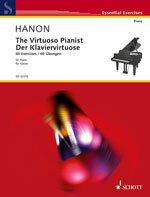 This collection of 60 studies written by French composer Charles-Louis Hanon has been newly published by Schott Music, and are occasionally viewed as a controversial set of piano studies. Rather like Marmite, you either love them or hate them! However, if practised carefully and with real purpose, these famous finger training exercises can be very beneficial and have helped pianists the world over to improve finger strength, dexterity and independence. Schott’s clear notation and modernized texts will no doubt prove crucial when practising.